dam Yager, Nicholas’ only son, born 30 Sep 1708, was about nine years old when he arrived in America. The move west to the Robinson River Valley in the foothills of the Blue Ridge came when he was about 18, and he would have spent his teen years living in the wilderness along the Rapidan River, while his father worked for Governor Spotswood. Adam married Susannah, but genealogists differ on whether Adam married Susannah Kobler. Susannah Kobler was identified by a descendant of Adam's youngest son, Godfrey, Priscilla Yager. But other genealogists believe she had married an Adam Yager also called "Woodstock Adam," who lived on Mt. 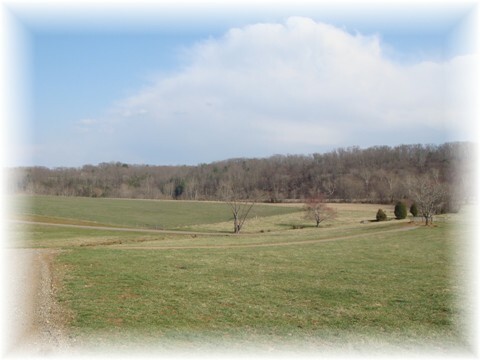 Poney, south-east of Culpeper and several miles north of the Robinson River Valley. Adam’s marriage came before the Hebron Church began keeping records, and we may never know for sure who Susanna’s parents were. Michael, b. 29 June 1728, Spotsylvania Co., VA-d. betw. 16 July 1793 and 27 Feb. 1794, Madison Co., VA, m. Elizabeth Crigler, 1749 or 1750. Barbara, b. 7 Sept. 1730, Spotsylvania Co., VA-d. 1794-1795, Madison Co., VA, m. ab. 1747 Peter Clore, m. ab. 1764 Philip Chelf. John, (called "Blind" John) ,b. 1732 Spotsylvania Co., VA- d. 1826 ,Madison Co., VA, m. 1757 Mary Wilhoit, Culpeper Co., VA, m. 1801 Susanna Berry, Madison Co., VA. This son of Adam Yager should not be confused with "John Yager of the Piney Woods." Contact Virginia Nuta for more information, vrnuta@verizon.net. Their oldest child, Michael Yager, was born in 1728. Adam was 20 at that time, meaning that Adam started his household shortly after the move to the Robinson River valley. On September 19, 1730, the same year that his daughter Barbara was born, Adam was naturalized in Williamsburg, and it is from these naturalization papers that we learn that he was born in Falkenstein, in the Duchy of Neuberg, Pfalz, Germany. On September 15, 1732, Adam's son “Blind” John Yager was born and in 1735 another son, Nicholas Yager, was born. As befits a man with the name “Jager,” which means “hunter” in German, Adam received a bounty for killing a wolf in Orange County, Virginia, in 1736. On June 10, 1737, he bought 400 acres near his father in the Robinson River valley. After this were born two more sons, Adam, in 1737, and Godfrey, in 1747. On Feb. 28, 1762 Adam Yeager and Susannah, his wife sold to son John Yeager,a parcel of land, part of Nicholas Yeager's patent for 400 acres, dated June 24, 1726. On same day they sold to son Nicholas Yeager, part of the same patent, land joining Philip Powlet (Pauletz). On Sept. 18, 1766 they sold to Adam Gaar, 100 acres. We believe that Adam’s wife Susannah died about 1764 because she no longer appears in church records after that time. Adam's land: view towards Island Run. Photo taken by V. Nuta. Adam was a signatory to the Constitution of the Hebron Lutheran Church and signed as well its Petition for Exemption from Parochial Charges. Adam's will was written on September 9, 1793, and it was probated January 23, 1794. Adam had outlived his son Nicholas, who died in 1781. His son Michael probably died at about the same time as Adam; his will was written prior to Adam's will, but probated about a month later, his name nevertheless appearing in Adam's will. But Adam was survived by four of his six children: Barbara, John, Adam Jr., and Godfrey. The witnesses to Adam's will were Germanna members John Smith, and Joseph and Cornelius Carpenter. Other than the farm left to Godfrey, the youngest son, the remainder of the estate was to be sold, but no one was to bid other than the surviving sons, and grandsons Adam Clore and Benjamin Yager. The proceeds divided into six parts to be distributed to the children and descendants of Nicholas and Barbara. Adam’s surviving sons were executors. Adam freed two slaves, Tom and Lucy. The inventory of his estate showed that Adam had three other slaves, Harry, Abraham and James, two head of cattle, a hog, a cart, and other farming items, furnishings, and crops. We know that Adam was literate because his will divides his books among his surviving sons, The land left Godfrey comprised 100 acres, and Godfrey also received his horse. As with his father, we do not know where Adam was buried. It may have been on his land or in a small family plot that has since disappeared.